Newt comes off of two months of professional training back at the beginning of 2017 to get him tuned up a bit but has not been rode consistently after that. Newt is very well trained with a really good handle on him, he has collection, neck reins and knows his leads, stops, backs, loads, trims and current coggins. We have only owned Newt about 18 months. We do not know much about his life before us, but have been told he was roped off of. We do not own cows and do not care to rope, so have never tried to rope off of him. 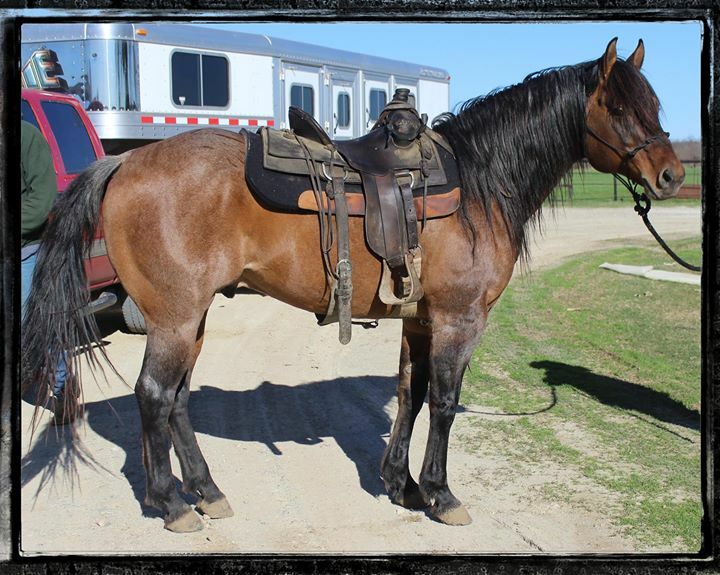 He was purchased for my husband who is an occasional rider and decided to get back into fishing with his son, just doesn't ride as often! Newt is ~NOT FOR A BEGINNER (someone just learning skills)~ Newt needs an experienced (knows how to ride correctly utilizing balance and correct commands), confident rider with a soft hand (no jerking on his bit/mouth) and kind heart. By experience rider, I will give a specific example: I mean someone who will not climb on his back and out of inexperience squeeze/grip with their knees/legs to hold on (cue to move forward) and pull on his mouth (cue to stop) at the same time. Newt does not appreciate mixed signals! If your body energy screams nervous, he will pick up on that and get nervous too. If you do not know what this term means "pull his head to the side to disengage his hind quarters" this is not the horse for you! Newt is not lazy, he likes to move out. Newt loves pushing cows and would do best if given a job he can focus on. Newt does best with consistency and set goals! In the right situation with the right person, Newt will made you a loyal partner/companion. He needs someone to focus on him and make him their number one. 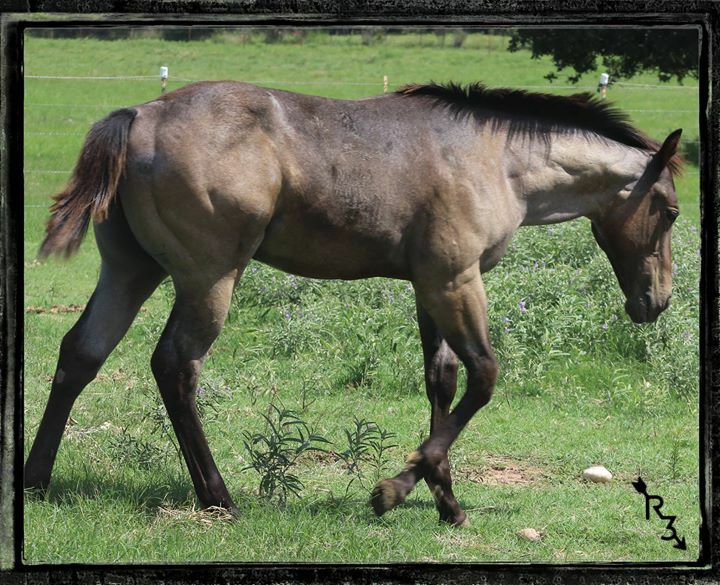 If Newt was for a beginner that anyone could ride, he would be twice our asking price! We have him priced accordingly and are only asking what we paid for him plus the training we have in him and are FIRM on his price. Newt is low man on the totem pole in the pasture, an easy keeper as long as he does not get pushed off his food. Newt has great ground manners. We want Newt to have a nice home that will take care of him, so we will be very picky where he goes! Also, we will ask that you ride Newt for us to see if he is a fit for your level of experience. It is very important to us that he is matched with someone who will appreciate his training and also have the experience he needs to be his leader. Willow is an amazing filly with spot on conformation, a beautiful head, nice amount of bone and will carry some height to her. Her disposition is so kind, she is willing to learn and please. 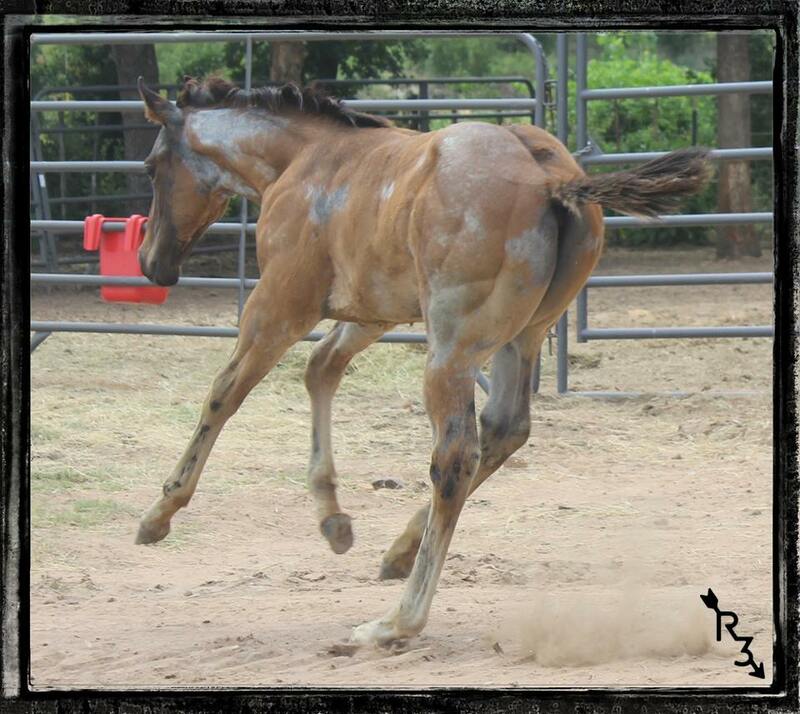 Willow's Sire, "Swisher Hancock" / Willow's Dam, "Blues Cowy Valentine"
Check out this incredible colt's video. Cash has SWAG! Bred for timed speed events. 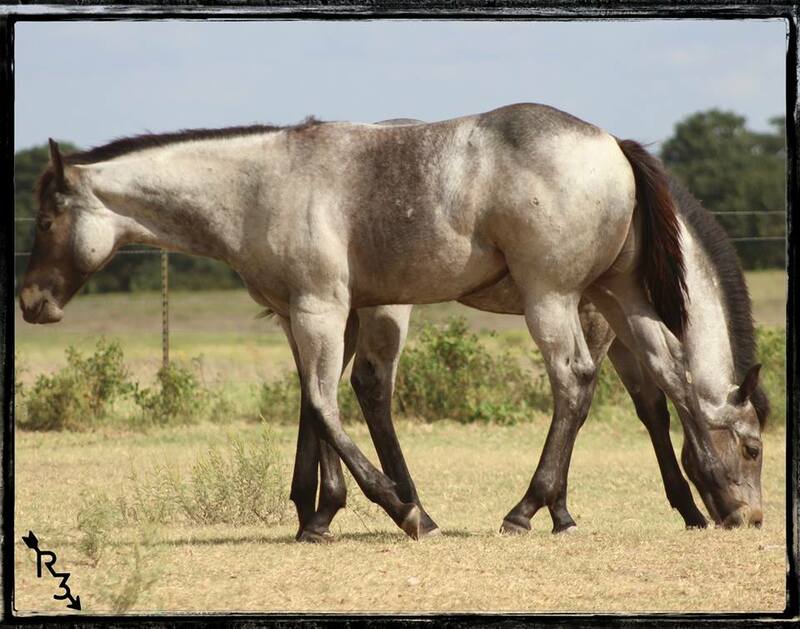 Both owned by R3~Cash's Sire, "Swisher Hancock" / Cash's Dam, "First Magnolia aka Classy at 15yrs old in 2017." 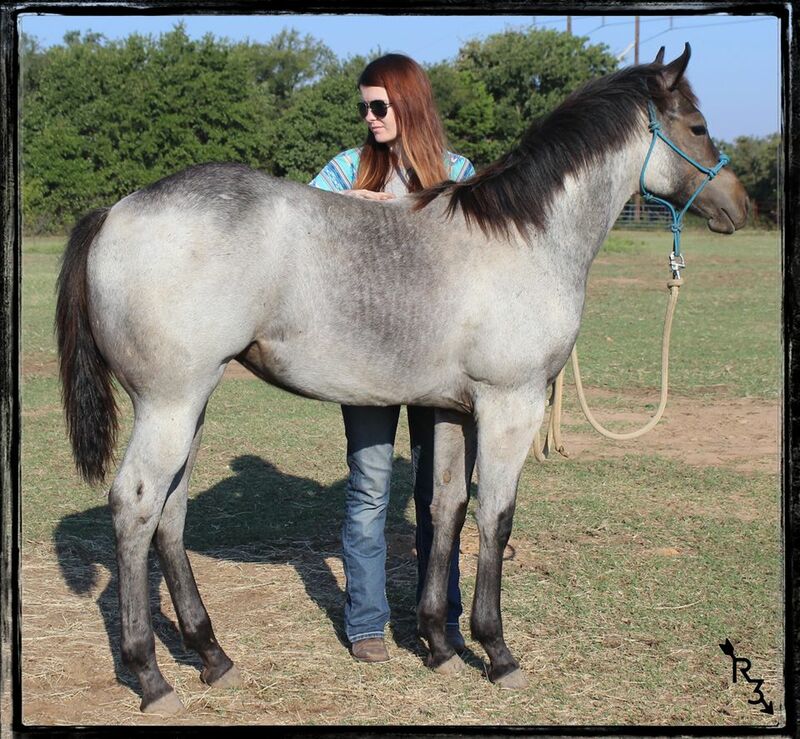 View Smoke's full brother "Deucee" born in 2016 on our "gelding" link. I held Deucee back to show. 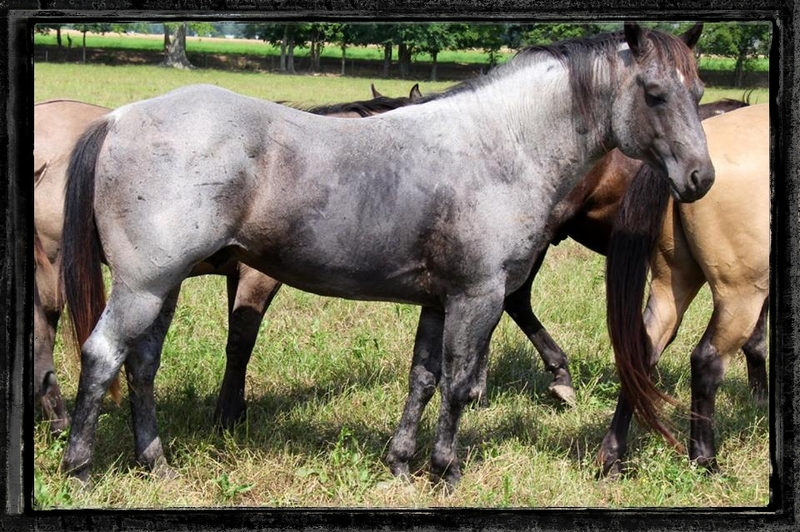 Both owned by R3~Smoke's Sire, "Swisher Hancock" / Smoke's Dam, "Blue Valentine "Cleo" at 8years old in 2015. 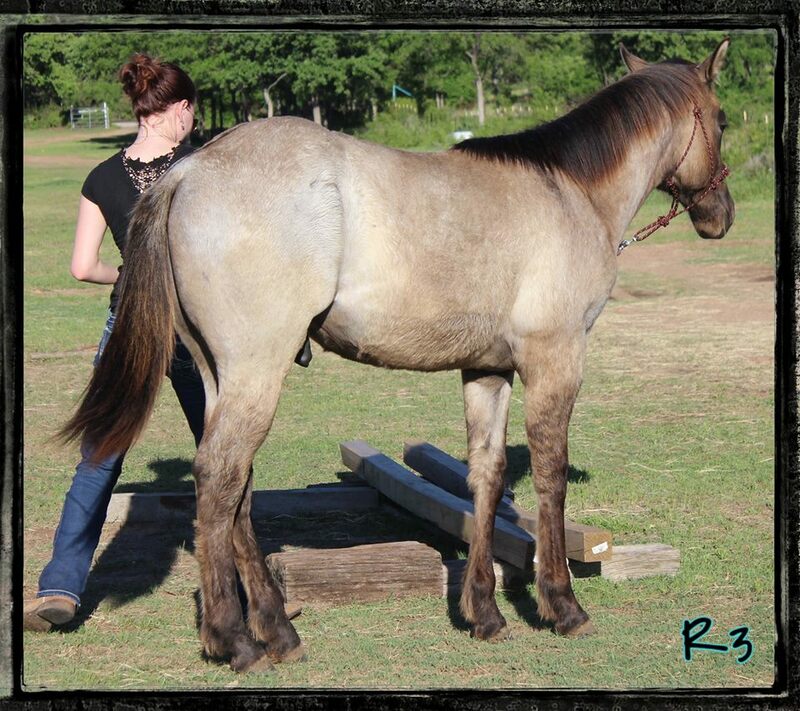 Raisin Roan Moose R3 aka "Moose"
Moose was such a pleasure to raise! I am very excited for his future and thrilled to be able to keep up with him in his new home. Moose is a Stallion prospect and is developing perfectly. 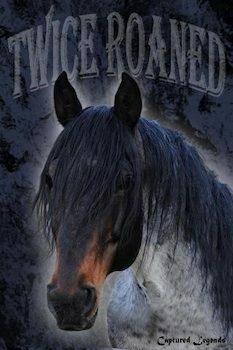 Both owned by R3~Moose's Sire, "Swisher Hancock" / Moose's Dam, "Blu Blue Babe" aka Junebug at 11years old in 2017. White Markings: Star and both back hocks, small place on front at the cornet band. Ariel's Sire, "Josephs Dividend" / Ariel's Dam, "TOS Little Luckie"
Ariel's Grandsire, "Ten O Sea"
Ten-O-Sea is the sire of "9", the horse Rich Skelton is currently riding. 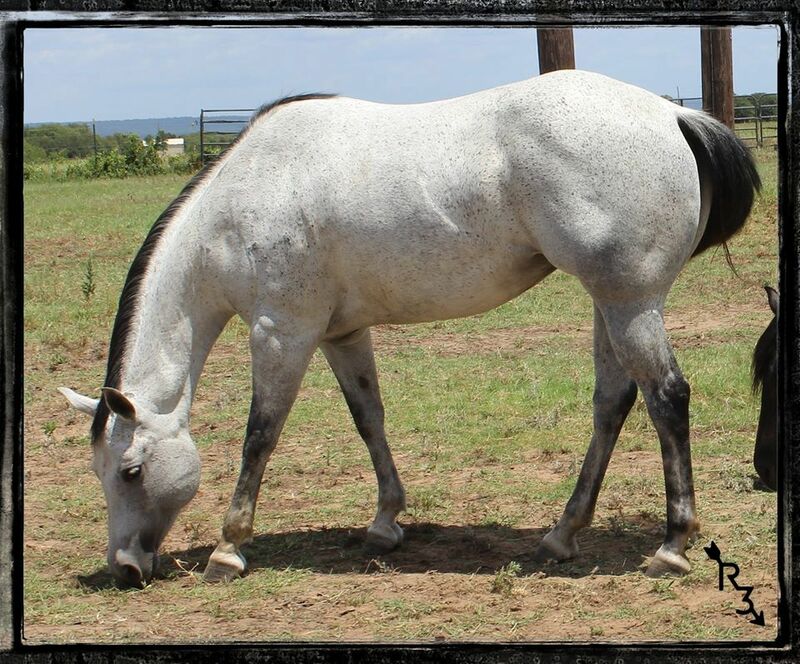 He also is the sire of Chili Dog, the horse that Rich rode to two of his World Championships. Ten-O-Sea is still owned by S- Quarter Horses, and is still active. 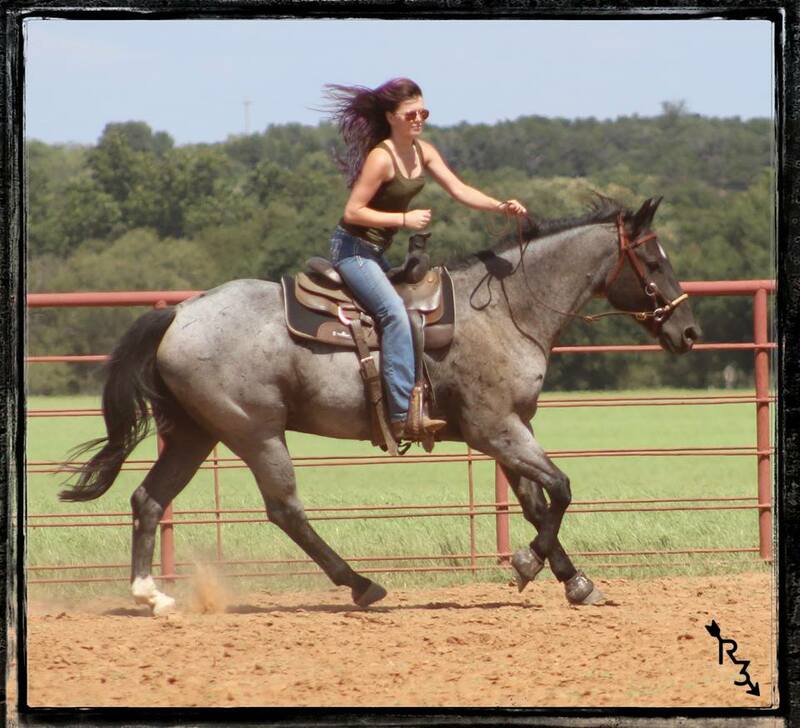 Today, the dramatic increase in popularity of ranch horse versatility competition has drawn some of the country's premier horses and their riders off the range and into the spotlight. Bill Smith, who operates the Espuela Cattle Co., from Spur, Texas, has won multiple Ranch Horse Association of America world championships with his hard working, homebred horses. 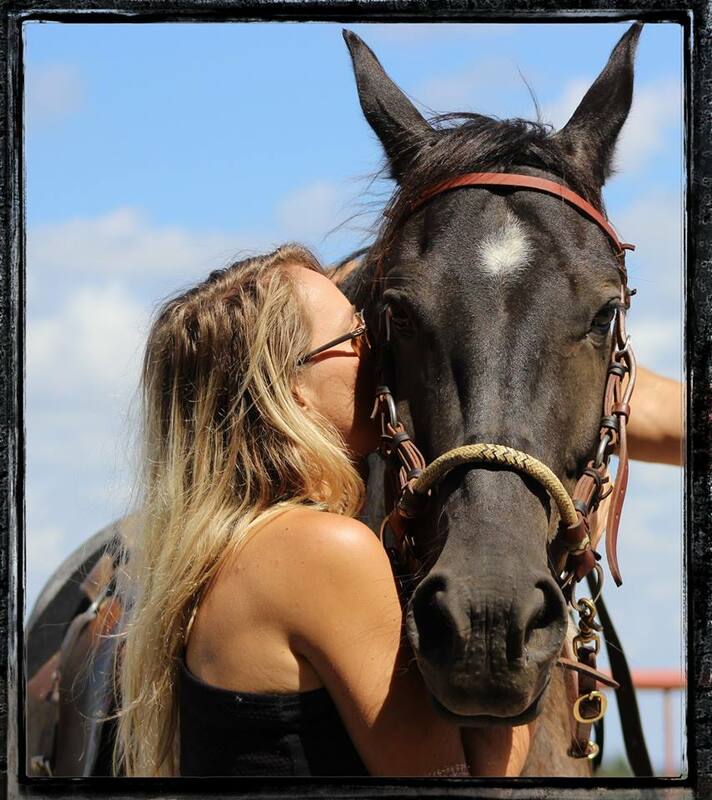 But ask him to recall his most memorable ride, and you may be surprised that his answer doesn't have a winners' circle ending... no, just one cowboy mighty proud of his horse. Founded in 1883, in the early 1900s the Espuela Cattle Co. spanned four counties and covered more than a half-million fenced acres. While today some young upstarts might tease Bill Smith about witnessing its entire history, in truth, he has "only" lived and worked on the ranch for the past 40 years. Owners of the ranch call him their greatest asset. 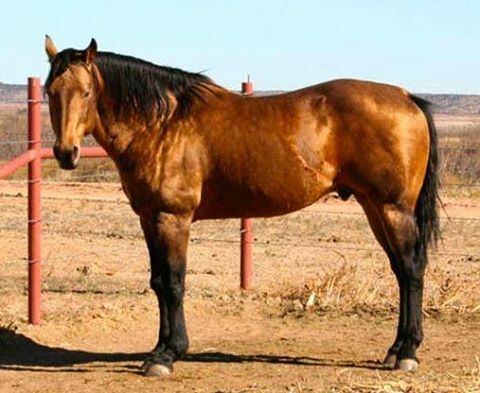 In 1986, Bill started a ranch horse breeding program at the ranch, with the purchase of a Four Sixes-bred stallion, Black Chick Gold by Black Chick 89 and out of Miss Eagle 95. Bill was pleased with the horses the stallion produced, particularly his daughters. 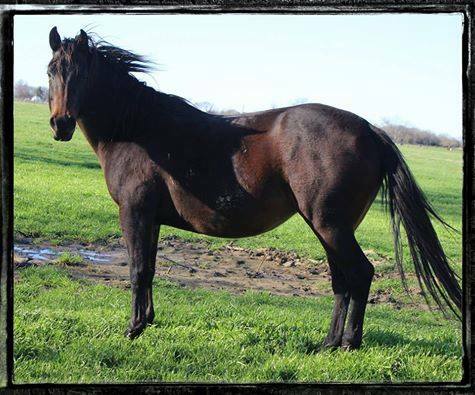 About six years later, Bill went shopping for an outcross stallion for the Black Chick Gold mares. His search was over when he found a 2-year old, double-Doc Bar buckskin named Ten O Sea by Docs Voyager and out of Davie O Lena by Doc O'Lena. "I've raised horses all my life and admired Doc O'Lena," Bill said. "But in truth, I'm not a pedigree chaser. I really liked the colt's good bone, withers and movement. 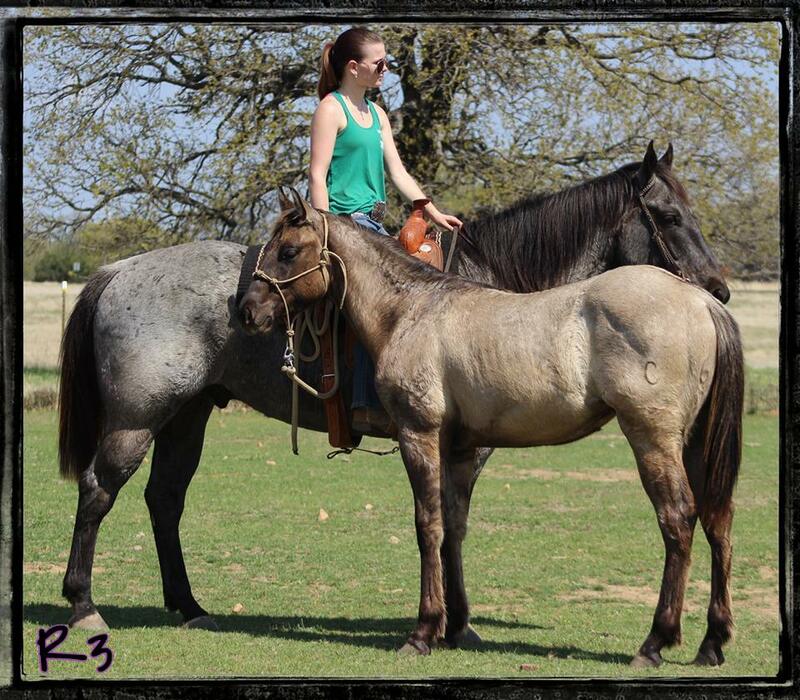 I don't raise for color, but you know it never hurts to have an eyecatching buckskin horse." When Bill took the colt home, the horse had perhaps a dozen rides on him. Bill found that the more he rode Ten O Sea, the more he liked the smooth moving youngster. He had a gentle nature, but lots of life. Bill brought the colt along slowly; in time, he roped off him and introduced him to long, dusty days on the range. "When he was 5 years old, I team roped on him," Bill said, "probably heeled more than headed." Meanwhile, the fancy colt was bred to daughters and granddaughters of Black Chick Gold with notable success. 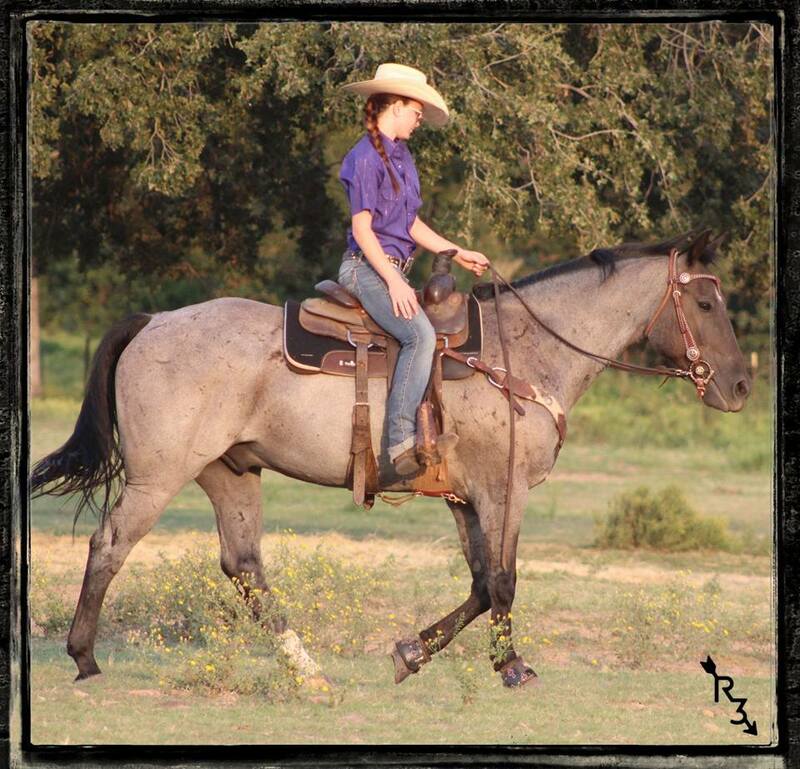 Thus far, his offspring have tallied 62 performance wins, 18 all-around championships and reserves, and two performance Registers of Merit; they've earned money in RHAA and the National Reining Horse and National Reined Cow Horse Associations. One son, Pets Ten, aka "Chili Dog," was twice the Professional Rodeo Cowboys Association Heeling Horse of the Year with Rich Skelton. Bill's most memorable ride on Ten O Sea came at the Texas Cowboy Reunion and Rodeo in Stamford, Texas. The first Stamford Rodeo was July 4, 1930. It was founded during the Great Depression as a morale booster and to celebrate the local ranch talent. It was a grand success from Day 1. In 1940, one of the first American Quarter Horse shows took place in conjunction with the Stamford Rodeo. Today, the tradition continues with a rodeo and parade that draw tens of thousands of visitors to revel in the heritage of West Texas and linger at the Cowboy Country Museum in the town square. A decade ago, Bill Smith and Ten O Sea were among the 15 or so invited to the ranch horse competition at the Stamford Rodeo. The stallion had been turned out with mares for most of June. So Bill gathered him up at the end of the month, rode him two or three times, and headed to Stamford. It was an especially hot July that year, with temperatures easily topping the century mark. First, they rode a reining pattern. Check. Next, they boxed a cow. Check. Then they had to pen a cow and rope it, all in eight minutes. "We drew a really tough, skinny calf and did the best we could," Bill recalled. "He was 600-700 pounds of mean and literally ran into my horse. He just would not get into the pen! We must've turned him 50 times, and still we didn't pen him. My horse was hot and wet, but he just kept on trying," Bill said. "And I wasn't smart enough to quit! Finally, the whistle blowed, and we were out, without penning that calf. But I cannot tell you how much I appreciated my horse at that moment. There wasn't an ounce of quit in Ten O Sea. He just kept on trying. For me, that's the mark of a champion." Bill competed with Ten O Sea for about a year, garnering an RHAA reserve world championship with him. 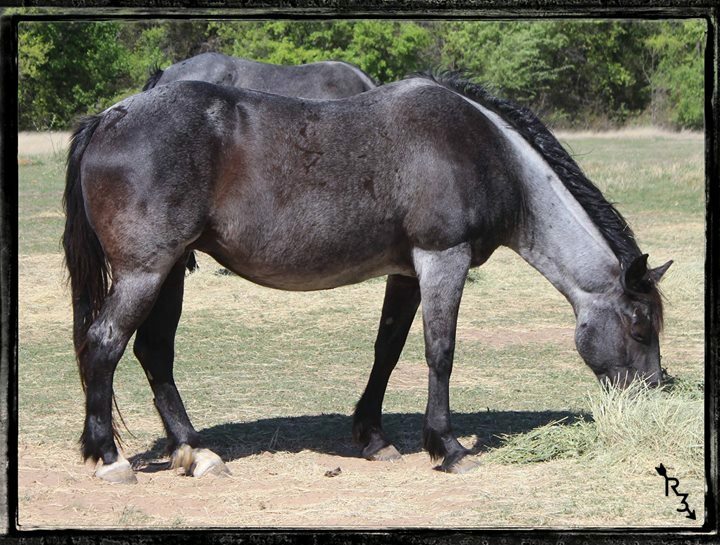 Today, at 19, the stallion is retired from ranch work at the Spur. He's turned out with his broodmares from early April to mid- June, then he returns to a spacious grass trap, with horses and activity all around him. These days, Bill wins ranch horse competition with Ten O Sea's offspring, like the Working Ranch Cowboys Association's 2008 Top Working Ranch Horse Tens Nine Zero. But Bill has never been more proud of a horse than on one hot July day in Stamford, Texas, when a tough calf resisted and the whistle blew. That great ride remains a testament to ranch horse heart and staying power under the most inhospitable conditions. And for a rancher, it's all about try when there is no audience and no whistle; just a calf, a cowboy, a horse, and a job to be done. Ruger's Sire, "Josephs Dividend" / Ruger's Dam, "Santex Fancy Coup"
Some interesting history on Black Chick Gold (one off pedigree). In the 1980's Bill Smith acquired a double Hollywood Gold-bred brown stud named Black Chick Gold. He called him Crow. He was by Black Chick 89 (running bred) out of Miss Eagle 95, who was by Mr Gold 95. Mr Gold 95 produced Bob Byrd's NCHA co-champion in 1964, Miss Ginger Dee. 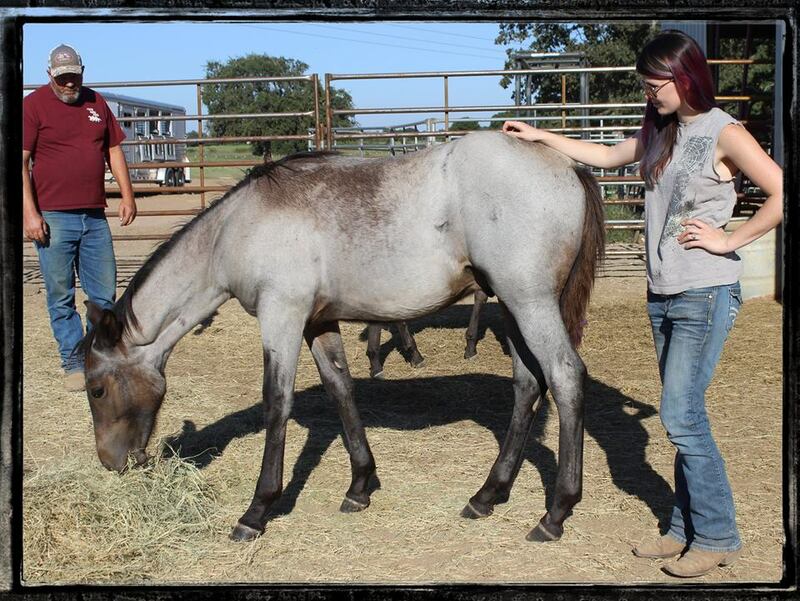 Crow made 168 foals and some really nice all day kind of horses. An outstanding stallion, named Ten O Sea was used to cross back on the Black Chick Gold daughters. That cross proved to work and made countless ranch horse money earners and big time rodeo roping horses. These crosses quickly became in demand. As for Josephs Gold (line 3 on pedigree). 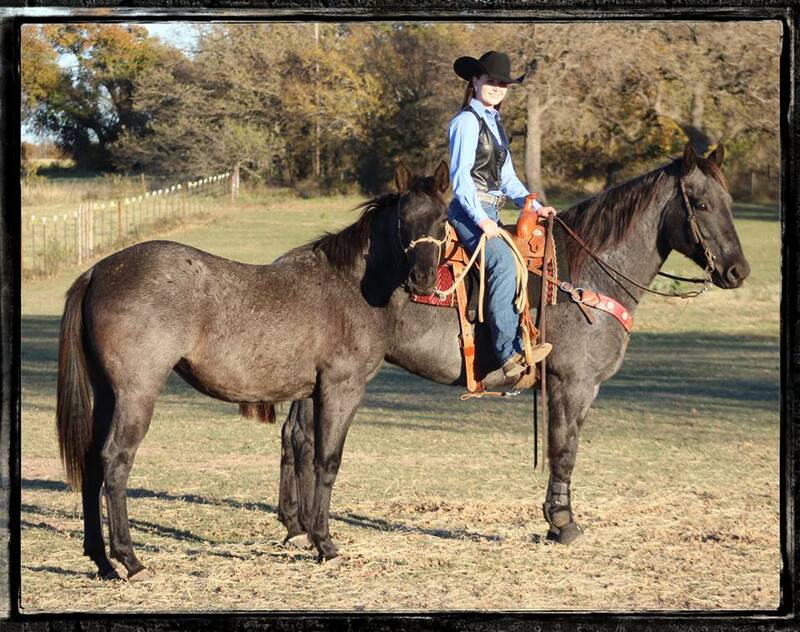 Bill ended up with a Beggs Ranch mare named Becaco Manor Joe. Becaco Manor Joe was by Bluewood, who was by Manor Man. 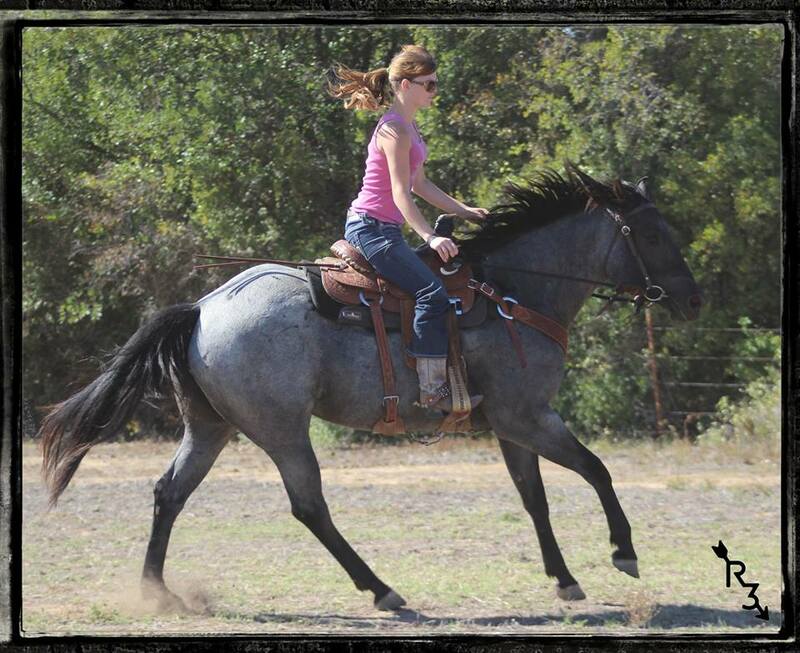 Bluewood was a running and cutting cross that the Beggs bred in their program for years. Bill took Becaco Manor Joe and bred her to Black Chick Gold. He did this several times. It produced Josephs Gold in 1994, and in other years it produced some fine broodmares for well known ranches, including a mare that was sold to Wyoming and later bred to a son of Frenchman's Fabulous that is a 1D barrel sire. Josephs Gold stood at Spur Headquarters for many years. 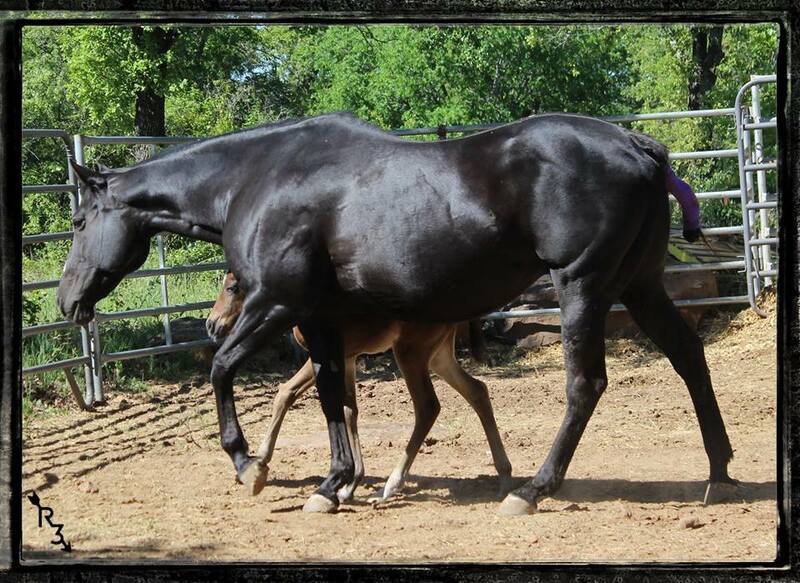 His foals tend to be forward movers and a little taller, fast enough to fold your hat back! 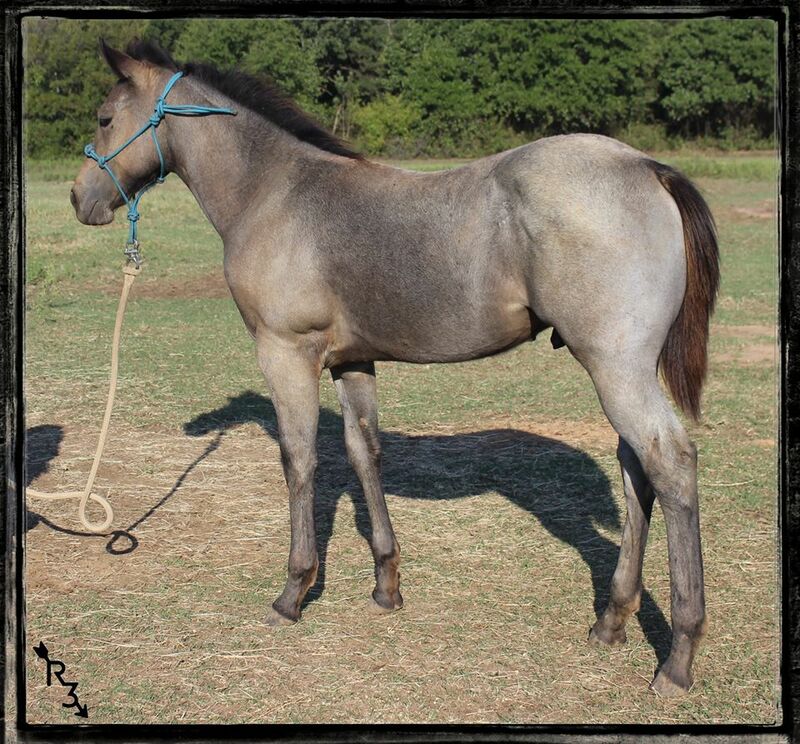 We purchased Concho on 10/02/2016 as a pasture mate for "Deucee" a 2016 weanling colt I am holding back (may be veiwed on "our geldings" page). 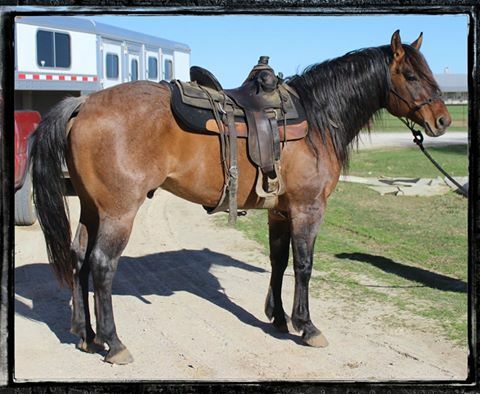 Our plans for Concho is to offer him to the public for sale, but he needs to stay with us until Feb/March 2017. 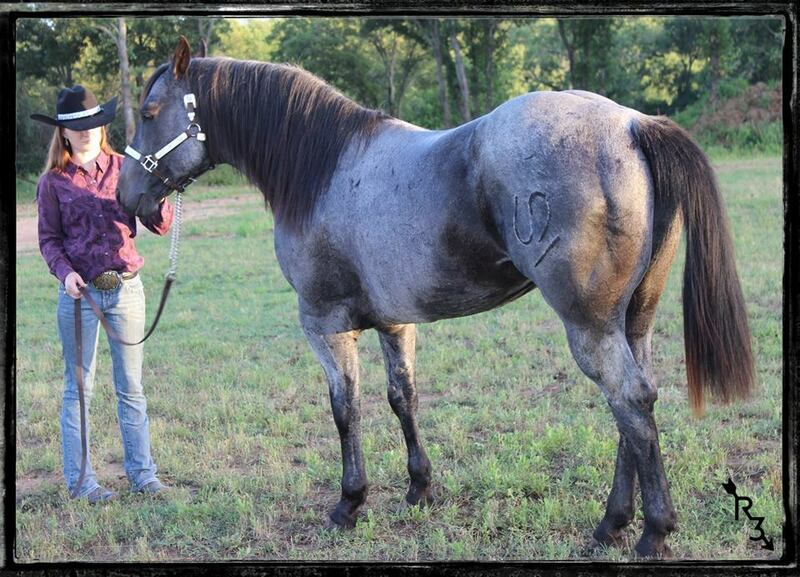 Once my colt is big enough to be turned out with my geldings without worry, Concho will be able to go to his new home. 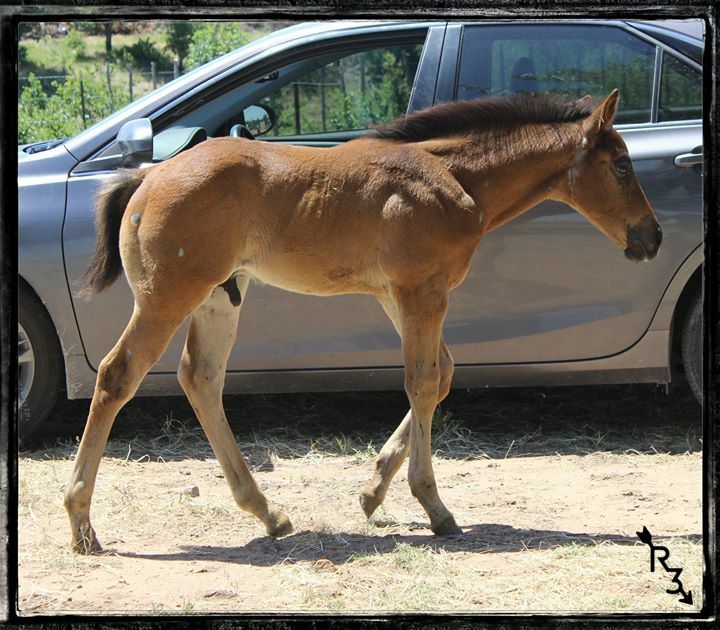 In the meantime, we will get him halter broke, color tested, panel 5 tested, placed on our feed program, use to being handled daily, hoofs trimmed and anything else we deem fit for his welfare. All test results are in and listed below under "Quick Notes". I thought I'd share with you why I was attracted to this lovely filly. 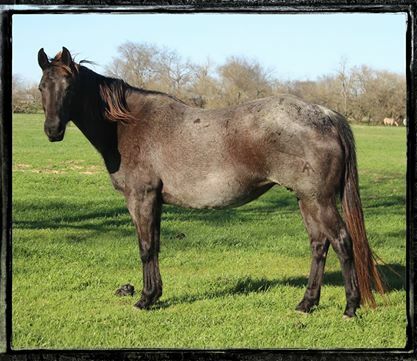 I seen Rita's sire Leterip Hancock at the Corsicana Hancock sale in 2010 on display in Stallion Station. 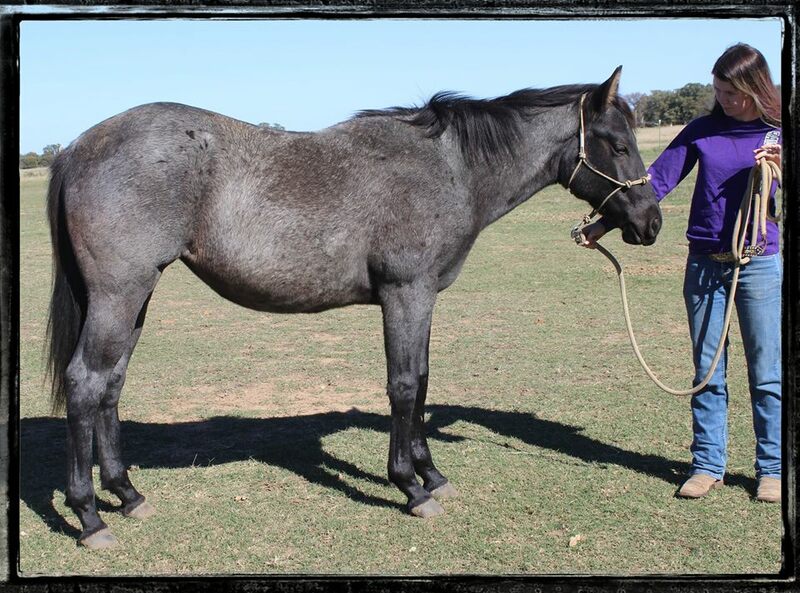 He is a huge boy, standing every bit of 16hh and built like a tank. 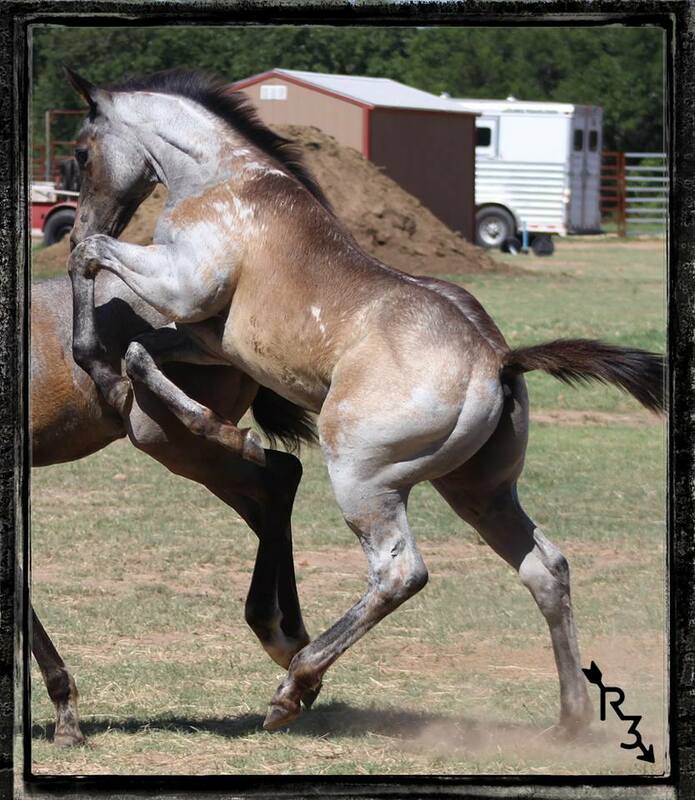 His full brother, Mucha Hancock is just as impressive, a photo may be viewed on allbreed or Hancock Horses web site. 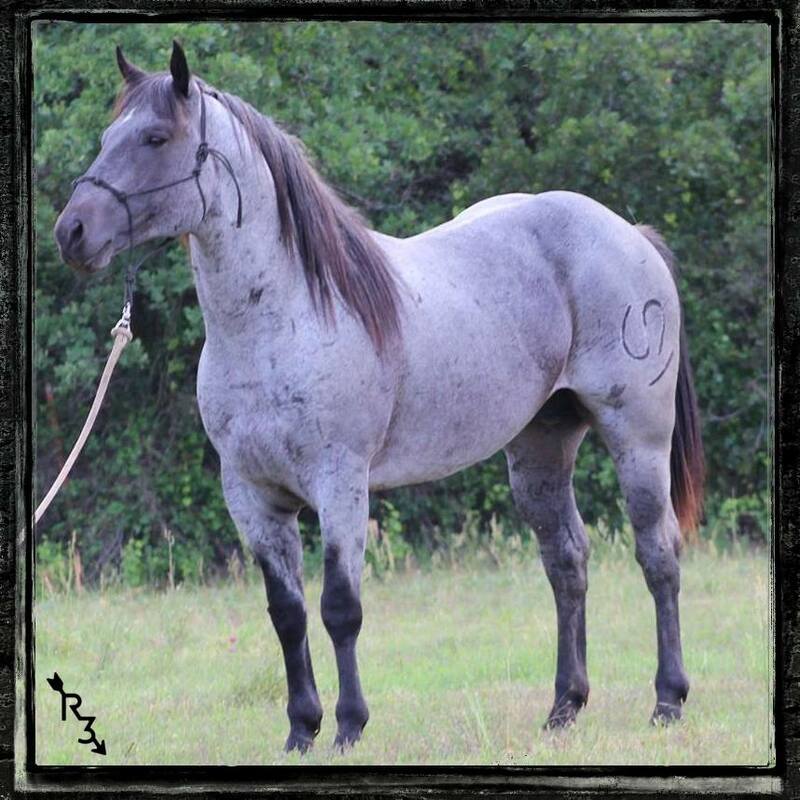 Their dam, Mucha Zorrita is top on my list for favorite producing Blue Valentine mares. 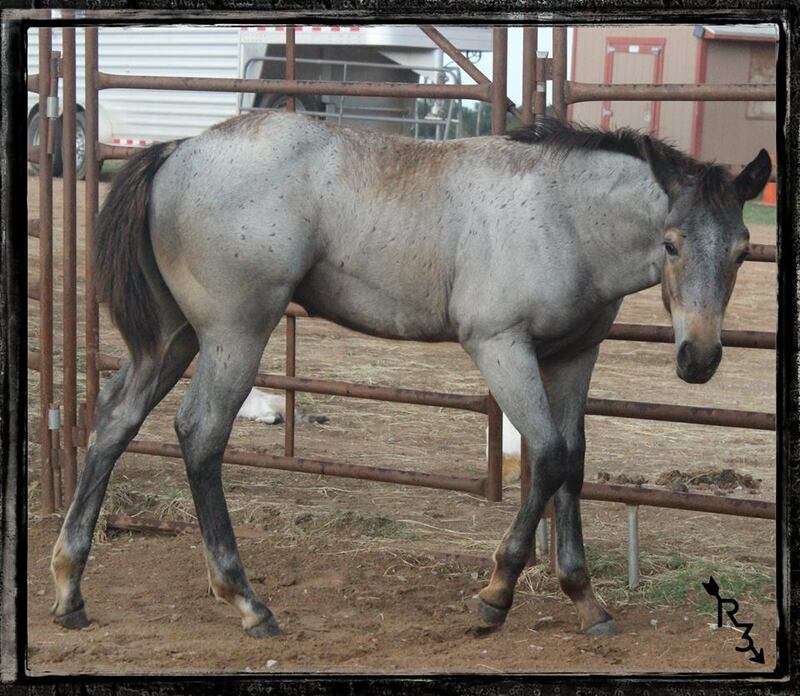 She is a WYO Kid Curry daughter who was sired by Rip Rip out of a gooseberry daughter. 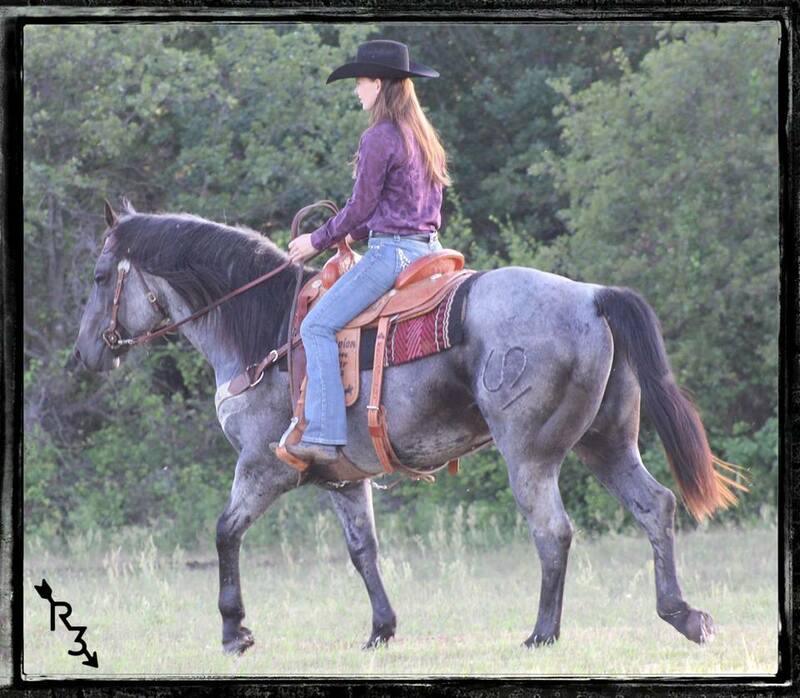 She is owned by Aaron Ranch and is the granddam to their gorgeous stallion, Funny B Blue Muchaman. My interpretation of her name is Plenty Foxy. 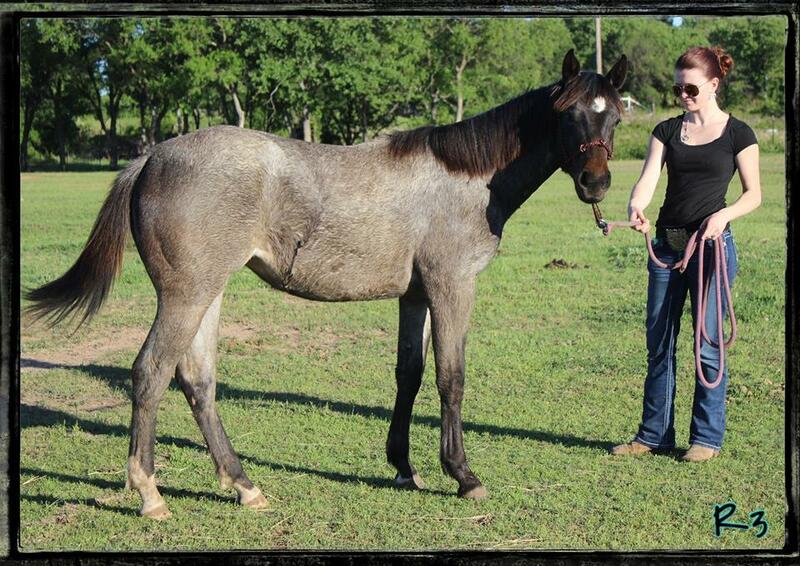 I named this filly after her granddam, that is where Rita came from (Zorrita). 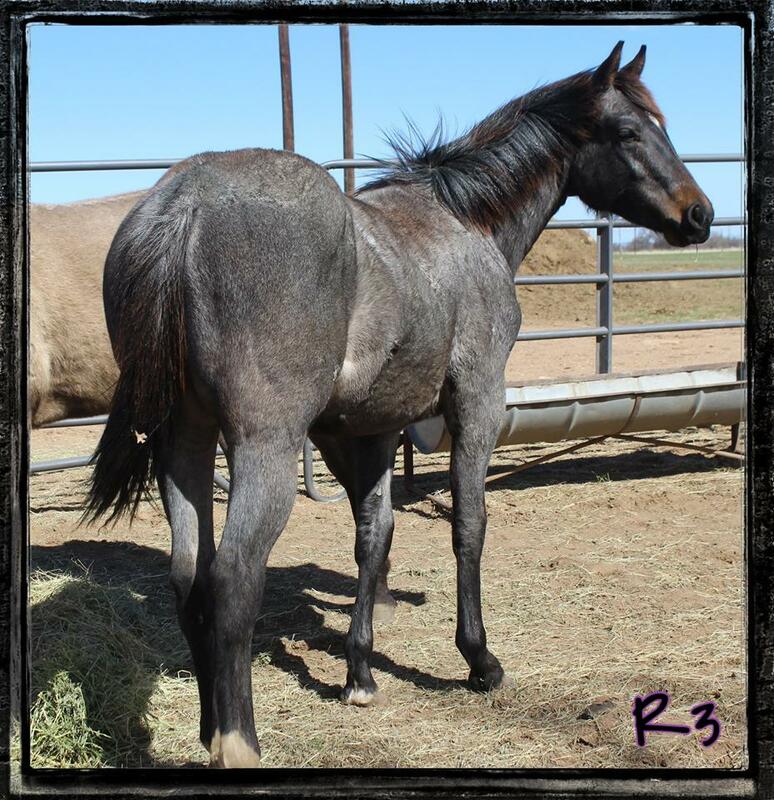 Rita's dam "Miss Dusty Try" came off the King Merrit Ranch and was sold at the Legendary "Come to the Source" sale. That is how she made her way to Texas. She comes from a much used outcrossed line in the Merrit breeding program leading back to Miss Dusty Dot. 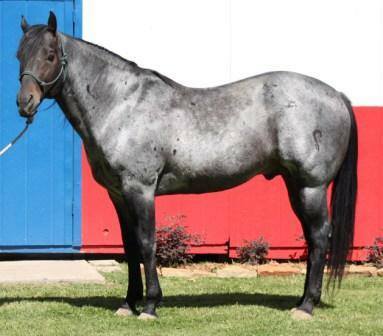 Miss Dusty Dot was bred to many of the favorites we recognize today as outstanding producing sires, Gooseberry, Leo Hancock Hayes, Blues Beard and Ruano Rojo. Rita has a very diverse BV/JH pedigree anybody can be proud of. 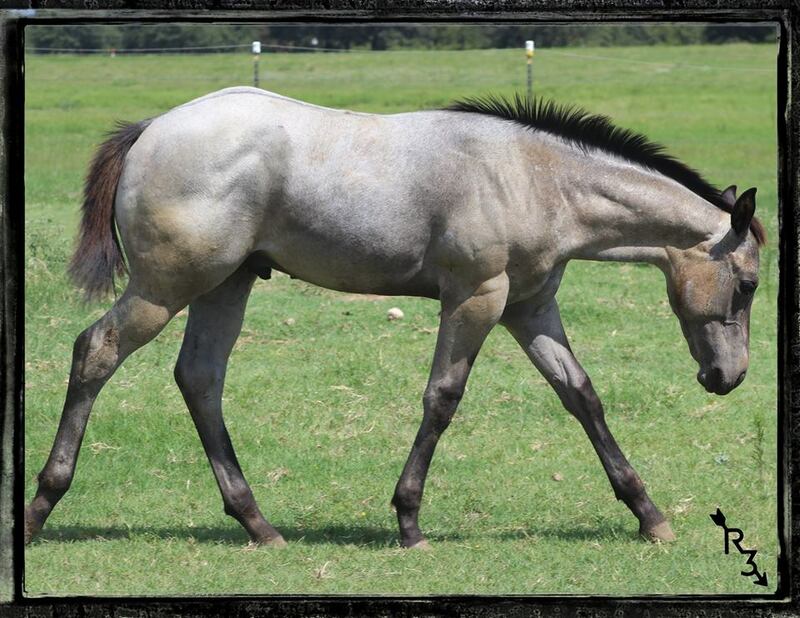 Do not look pass this filly, she is a piece of history!